The oysterman’s face was ruddy — the color of Georgia clay or the leaves of an oak tree in autumn. He motored up to our group and tied his boat to the dock. “Y’all ready to go out?” he asked in a drawl thick as Tupelo honey. 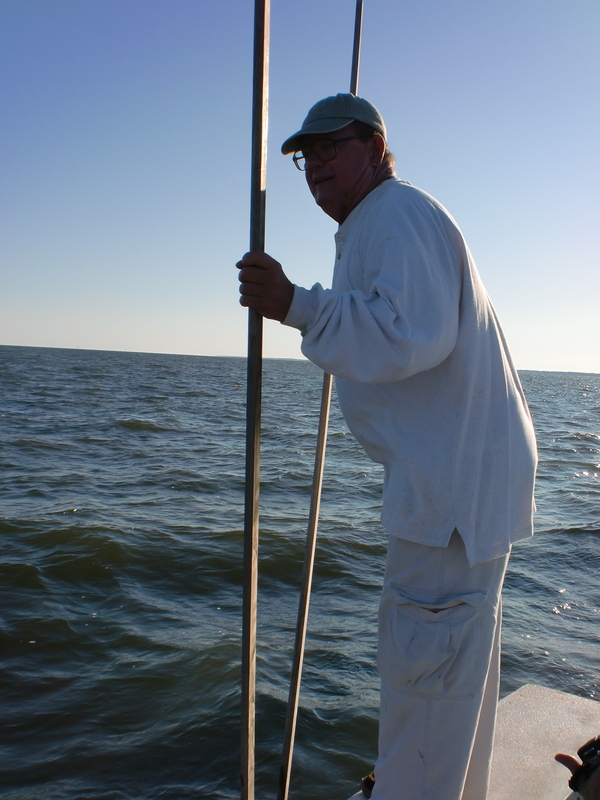 Captain Doug had four fishing rods and two long wooden poles that looked like giant chopsticks. They were for pulling up oysters. We scrambled for a seat that didn’t have fish guts or oyster juice on it and braced ourselves for the bouncy 20-minute trip to the oyster bars in Apalachicola Bay. This part of the gulf has some of the richest, most productive fishing grounds in the country, and — despite what you may have heard — it wasn’t affected by the oil spill. Now, this stretch of Florida is up in the Panhandle — and folks here are nothing like the tanned, gold-chain wearing Floridians at the other end of the state. They’re as down-home as hushpuppies and cheese grits, and remind me of where my daughter goes to school in Georgia. “Miss Ginny, we’ve been waiting for you. Oooh, girl, you’ve come a long way. Set yourself down on the couch and I’ll pour you a glass of wine.” Now that’s what I call Southern Comfort. 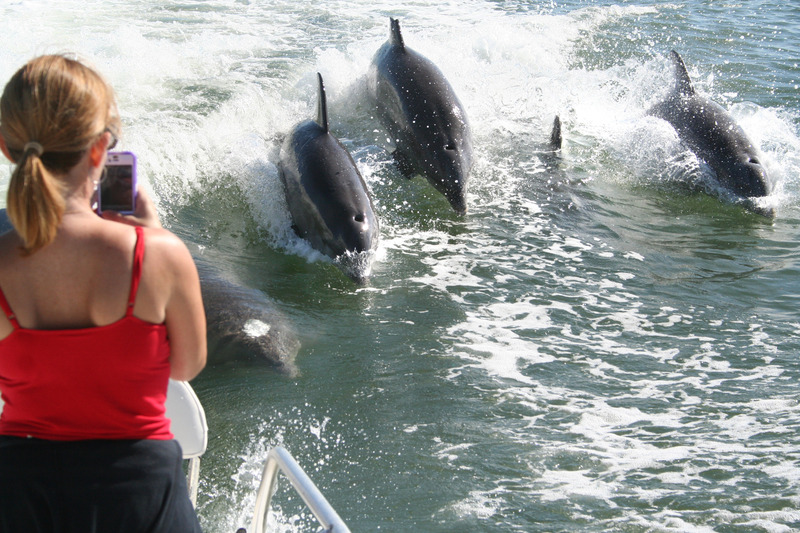 Back in Apalachicola Bay, we pulled up alongside about 20 other boats, all in a big circle. Each boat had at least two people on it; one using tongs to harvest the oysters and the other knocking off barnacles and eyeballing the oysters for size. Several boats had husband-and-wife teams — the man would pull up the oysters and slam them down on a long wooden board and the woman would cull them. “A lot of these folks got their leases from their daddies, and they got them from their daddies,” Captain Doug shared. “Same thing with the tongs. They get passed down too, but if you have to buy one — a good one costs plenty.” I watched as the men and women worked in rhythm to harvest the day’s catch. They had only so many hours, by law, before they had to get back to shore and get the oysters on ice. Restaurants in the little gulf towns wait for these oysters. Clams too — and grouper and mullet and a bounty of other seafood that comes in off the boats and from fishermen on the shore. Chefs prepare nature’s catch with a flair that’s unique to this region. We had pan-seared grouper, stuffed with fresh crab and wrapped in bacon, then grilled until the outer shell turned crunchy and the inside flaky. The oysters and clams were served in a myriad ways — raw, steamed and barbecued — some with garlic and baked Gruyere cheese crowns. People take pride in their seafood, here, and in keeping the estuarine system healthy. A full 87 percent of Franklin County is protected land, which helps keep the population down and the little towns preserved in time — in a way. There are no Walmarts near Apalachicola, or chain stores of any kind, just plenty of black bears and gators — and fish. But it’s the oysters that put this place on the map. Historically, more than 90 percent of Florida’s oysters are harvested here — and 10 percent of the nationwide supply. For the folks in Apalachicola, it’s called job security. For the rest of us, it’s heaven on a half-shell. 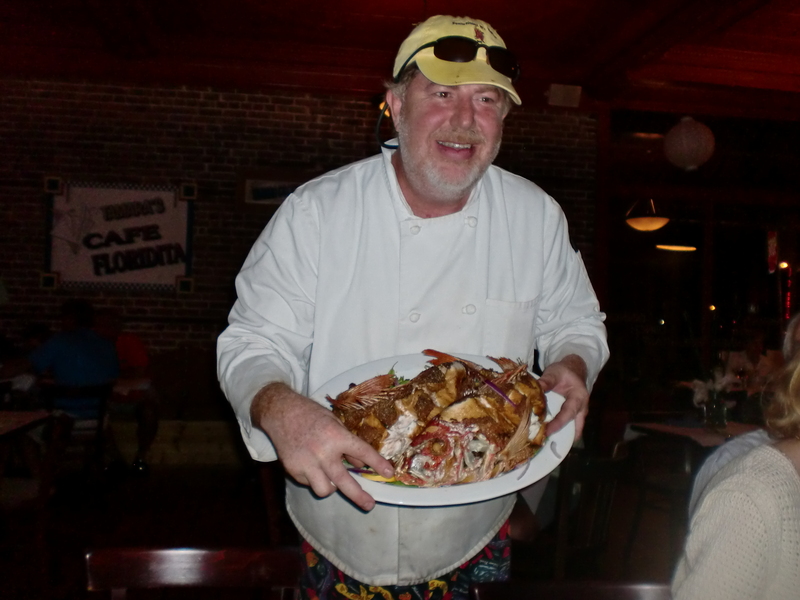 The 48th annual Florida Seafood Festival is Nov. 4 and 5 in Apalachicola, Fla.
For more information on Franklin County, Fla., see http://anaturalescape.com.